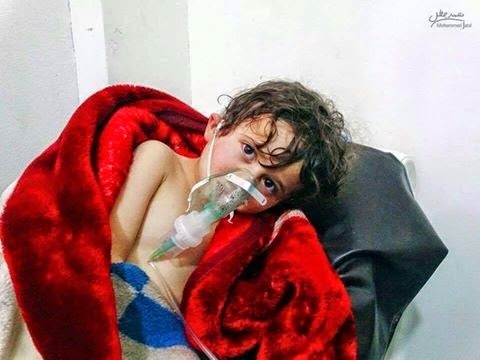 Following Chemical weapon attack on Ghouta , in 21 August 2013,president Barack Obama gave many promises not to remain silent about this crime against humanity. As Syrian civil citizens, we were completely disappointed by the results. Today, less than two years after the attack on Ghouta civilians, the regime has again used toxic gas in a raid of Idleb suburbs and slaughtered an entire family of six in addition to causing more than 80 injuries, among them paramedics and members of the civil defense team. We the drafters of this letter, proclaim that U.S. Secretary of State John Kerry bears a part of responsibility on this crime, especially after his last statement about the necessity to negotiate with Bashar Assad's regime. As Syrians, we have seen that U.S. military actions in Syria have everything to do with shifting the balance of power in ways the government views as favorable, and very little to do with protecting Syrian citizens. We now suffer not only the attacks of Assad's barrel bombs and the Islamic State's terror campaign, but also the attacks of U.S. fighter jets, which have done little to alleviate the suffering we were under before their arrival.